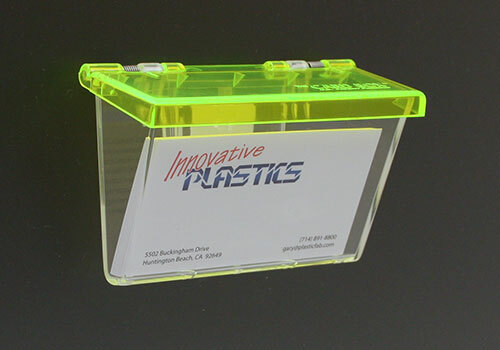 The Card Box was designed, developed, patented in the USA. The Card Box is your silent salesperson, ready to provide your contact information to prospects when you can't be there to personally hand them your business card. Available in multiple lid colors to attract attention. The Card Box was designed, developed, patented in the USA. The Card Box is "Weather Resistant". Our spring loaded lid features two stainless steel springs to keep the lid closed at all times. The lid has a lip on all four sides to help keep dust, dirt, and moisture out. If water does get inside the Card Box there are three weep holes in the bottom of the box to allow any moisture to drain. 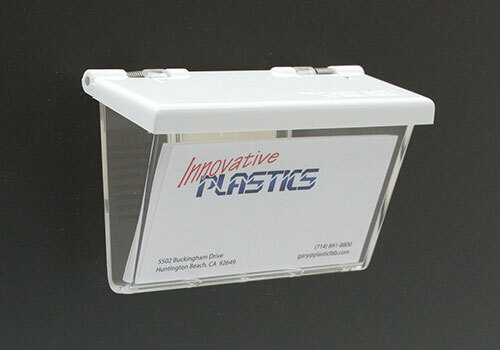 We offer a couple of accessories for the Card Box which our customers have requested to make the Card Box more versatile. Card Box Window Hook If you only want to use the Card Box temporarily or you want to be able to use it on different vehicles then the Card Box Window Hook is a must have accessory. 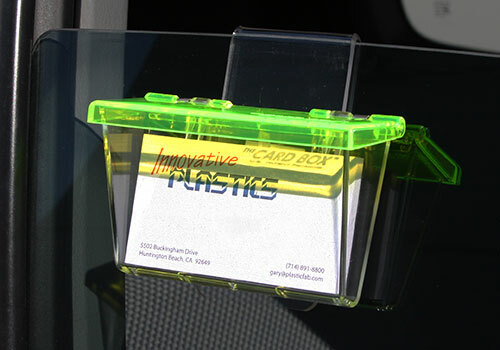 Made out of clear acrylic, the Card Box Window Hook easily slips over your car's window. Simply roll your window down a few inches, attach the Card Box Window Hook, roll your window back up and you're in business.